Recently I looked at a standard textbook used to teach Fundamental Theology. It contained many patristic references to the authority of tradition. One was lacking though--and from a very early and influential source. I've reproduced it below. 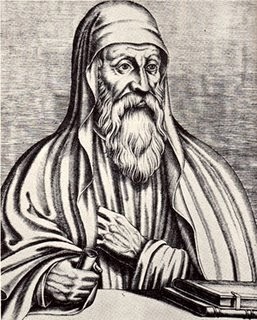 The irony is, of course, that later councils would condemn Origen's teaching as heretical. “Although there are many who believe that they themselves hold to the teachings of Christ, there are yet some among them who think differently from their predecessors. The teaching of the Church has indeed been handed down through an order of succession from the apostles and remains in the churches even to the present time. That alone is to be believed as the truth which is in no way at variance with ecclesiastical and apostolic tradition.”—Origen, Fundamental Doctrines, 1, preface, 2 (emphasis added). I'm still confused on this. I know the Bible is the inspired word of God and is authored by God and therefore true, but are there writings outside of our Holy Bible that are authored bt God and therefore considered just as inspired and true?